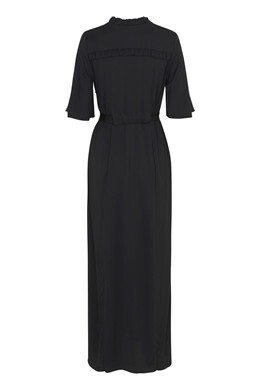 Floor-length dress with V-neckline and frilled trim at the collar. 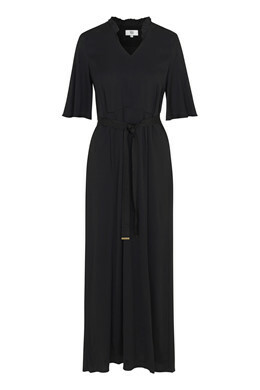 The dress is fitted with a belt at the waist. Liven it up with accessories and stilettos when it's time to party.